Getting a college education is expensive, which is why more students are taking the time to search for affordable colleges with high four-year graduation rates. In the United States, about two-thirds of students who earn a bachelor’s degree graduate from college in four years, while the remaining 34 percent need a fifth or even sixth year to complete their studies (U.S. Department of Education). Completing an undergraduate degree in four years is not only easier on the budget, but it means getting out into the workforce earlier than students who need more time to graduate. Choosing an affordable college is a great move since you can still get a good education without paying the higher tuition rates that other schools are charging. Schools in this ranking met the following requirements. 1. They are an accredited U.S. Institution. 2. The are among the 100 schools with the highest four-year graduation rate, according to U.S. News. 3. They offer the most affordable tuition among their peers in that list. The 20 schools selected for this list are ranked in order of out-of-state tuition, highest to lowest. Ninety-eight percent of students at Caltech placed in the top tenth of their high school graduating class. The majority (79% of Caltech alumni continue their studies and obtain a graduate degree). Mount Holyoke is a nondenominational liberal arts college for women. It has a reputation for producing leaders, from pioneers in the medical field to Pulitzer prize-winning playwrights. The College has been recognized as one of the leading institutions in the country for undergraduate programs by The Princeton Review’s Best 373 Colleges (2011). The College offers 50 departmental and interdepartmental majors. Students also have the option of designing their own major. About one-third of all majors are interdisciplinary. The most popular major at Mount Holyoke is social sciences (42%), followed by humanities (32%) and natural and applied sciences (26%). Santa Clara University is located in Silicon Valley. This Jesuit, Catholic university has a student body of 8,800. The University was founded in 1851 by the Society of Jesus and has the distinction of being California’s oldest operating institution of higher learning. Undergraduate programs are offered in the following fields of study: Arts and Sciences, Business, and Engineering. In the early 1970s, the Board of Trustees voted to limit the number of undergraduate students admitted to Santa Clara. This move was made to preserve the school’s character and ensure the quality of the University for future generations. Bentley University is located minutes west of Boston. The majority (81percent) of its 4,168 full-time undergraduate students live on campus. The average undergraduate class size is 21. There are 1,401 graduate students and 43 PhD students attending Bentley, and the average graduate class size is 21. The University is known as a “business” school and has a reputation for successfully “fusing” business studies with arts and sciences. It is also a leader in the field of business research and education. Undergraduates can obtain a B.S. in 11 business fields and B.A. degrees in five arts and sciences areas of study. Princeton University was chartered in 1746 and is the fourth oldest college in the United States. The main campus is made up of 180 buildings on 500 acres. The University is an independent, nondenominational school that offers undergraduate and graduate degree programs in social sciences, natural sciences, engineering, and the humanities. Princeton is known for its commitment to undergraduate teaching. The University’s 5,200 undergraduate students and 2,600 graduate students are taught by 1,100 faculty members. Princeton has a generous financial aid program which ensures that talented students who come from all economic backgrounds can afford to attend this prestigious educational institution. Founded by Thomas Jefferson in 1819, the University of Virginia has been ranked as the No. 2 best public university in the country by U.S. News and World Report (2014). It has held the No. 1 or No. 2 ranking every year since the U.S. News began ranking public universities as a separate category. It ranks in the Top 25 of all national universities, both public and private. This school offers 56 bachelor’s degrees in 53 fields of study, 79 master’s degrees in 63 fields, 65 educational specialist degrees, two first professional degrees (medicine and law), and 54 doctoral degrees in 52 fields. Rhodes College is a private liberal arts college. Located in the heart of Memphis, has one of the most beautiful campuses in the country. This school has more than just pretty surroundings to brag about, though; it was also named America’s #1 Service-Oriented College by Newsweek Magazine. The student body at Rhodes is 1,950 students, who represent 46 states plus the District of Columbia, and 11 countries. Three-quarters of them complete internships. Nearly two-thirds (65 percent) either study abroad or at off-campus sites in the U.S. The average class size at Rhodes College is 14 and the student-to-faculty ratio is 10:1. IWU was founded in 1850 and is now one of the leading liberal arts institutions in the country. It is located in the twin cities of Bloomington-Normal. The community, which has a population of 125,000, is located about two hours south of Chicago and north of St. Louis. This school admits just over 2,000 undergraduates; they benefit from the small average class size of 17 and the 11-to-1 student-faculty ratio. The University offers courses of study in liberal arts, fine arts, business, nursing, and eight pre-professional programs. There are a number of study abroad options available to students. This school has a unique 4-4-1 calendar, which includes a May Term. Gustavus Adolphus College is a private liberal arts college that is affiliated with the Evangelical Lutheran Church in America. Founded in 1862, institution offers daily Sabbath services on its 340-acre campus. The academic year is made up of a four-month fall semester, a one-month interim, and a four-month spring semester. The student-to-faculty ratio is 11:1. Ninety-one percent of first-year students return the following fall and 80 percent of students graduate within four years. A total of 4,805 prospective students applied for a first-year class of 610. One-third of first-year students were in the top 10 percent of their high school graduating class. Rice University is a private research university that is located close to the Texas Medical Center. With its small enrollment of 3,965 undergraduate, 2,663 graduate students and a 5:1 student-to-faculty ratio, the University has a well-deserved reputation for putting an emphasis on education. The Honor Code is an important part in academic affairs at Rice. Almost all exams are unproctored. Professors give students timed, closed-book exams to take home and complete at their convenience. Students take and pass a test during Orientation Week to show that they understand the Honor System and sign a Matriculation Pledge. Penalties for breaching the code are set each year by Council consensus and have ranged from a letter of reprimand to a failing grade in the course and a two-semester suspension. The College of William and Mary is the second-oldest college in the country, but that doesn’t mean that it is stuffy and old fashioned. This public school is a cutting-edge research university. It’s also highly selective and offers a world-class education to its students. William and Mary is one of eight U.S. schools that is designated a “Public Ivy,” which means it is a state-assisted institution that offers a high-quality education at a lower cost than that of Ivy League schools. Its student-to-faculty ratio is 12-1 – one of the lowest among the top-rated public universities. The majority (84 percent) of classes have fewer than 40 students. Bryant University has been offering programs to students for over 150 years. In that time, it has developed a reputation for offering innovative, market-driven learning. The school sits on 428 acres of land and is located 12 miles from Providence and 50 miles from Boston. Prospective students can choose from 103 courses of study. All undergraduates at Bryant complete a major and a minor to graduate. Ten percent complete either a double or triple major. The average class size is 28 students and the student to faculty ratio is 15:1. An impressive 98 percent of students are either employed or in graduate school within six months after Commencement. Stonehill College is a Catholic school that was founded by the Congregation of Holy Cross in 1948. Its beautiful campus includes Donahue Hall, a beautiful Georgian-style mansion, and a chapel where mass is celebrated daily. Students at Stonehill can choose from more than 80 majors, minors and programs with a firm foundation in business, the humanities and sciences. Local, domestic, and international internship programs are available to students at Stonehill. The University is ranked as one of the best schools in the country for sending students on semester-long study-abroad programs. Nearly 40 percent of the Class of 2012 took advantage of this opportunity. 3. graduate in four years; or the Centre will provide up to an additional year of study tuition-free (as long as academic and social expectations have been met). The College offers 27 majors and 34 minors. Students can also design their own major. About one-quarter of students pursue a double major. Average class size is 19. Emerson College is a private school that was founded in 1880 by Charles Wesley Emerson. Originally a “school of oratory,” it is “the only comprehensive college or university America dedicated exclusively to communication and the arts in a liberal arts context.” In 1949, the College established an educational radio station (WERS) – a first in New England. It was also one of the first schools to offer undergraduate programs in broadcasting. The College offers undergraduate majors and minors in communications and the arts. Its film program is one of the largest in the United States. Ten graduate degree programs are available, including Communication Disorders, Journalism, Global Marketing Communication and Advertising. Wofford is an independent liberal arts college that offers bachelor’s degrees in 25 major fields of study. It is also known for its programs leading to graduate and professional studies, such as law, medicine and other health professions, and the ministry. Full-time enrollment is 1,584 students. Forty-two percent of students accepted to Wofford College were in the top 10 percent of their high school graduating class. The retention rate is 89.5 percent. The College’s calendar is two, four-month semesters and a one-month January interim. Since 2007, more than 2,220 students have studied abroad on all seven continents. Their studies have been conducted in 70 countries. Beacon College was the first learning institution in the U.S. to offer bachelor’s degree programs exclusively to students with learning disabilities, ADHD and other learning differences. Just over three-quarters (76 percent) of students graduate in four years. All students in the Beacon’s class of 2013 gained hands-on experience through internships and/or work experience. Eighty-three percent of recent graduates continued their studies at other colleges and universities throughout the country, while others pursued employment opportunities on graduation. Instructors at Beacon also act as Transition Job Coaches for students. The program helps to build students’ social and professional skills to prepare them for their place in society. Elon University is an independent school that has a well-deserved reputation for excellence in its liberal arts, sciences and professional programs. Its lovely North Carolina campus has been designated as a botanical garden.The campus also includes the 56-acre Elon University Forest, which is a land preserve and natural area used for scientific research. Elon has been ranked at No. 1 by U.S. News & World Report among Southern Regional Universities (2014). The student body is made up of 5,559 undergraduates and 706 graduate students. Over 60 undergraduate majors are taught by the University’s 394 full-time faculty. The school operates on a 4-1-4 calendar. A four-week term is held in January. Soka University is a private, not-for-profit liberal arts college. Located in Orange County, California, it is just a seven-mile drive from the beach. SUA was founded on the Buddhist principles of human rights, peace and the sanctity of life, and it offers a non-sectarian curriculum that is open to top students from all belief systems and nationalities. The average class size is 13 and the student-to-faculty ratio is 9:1. Study abroad is included in tuition; every undergraduate spends a semester living in another culture. Free tuition is offered to admitted US and international students with an earned family income of less than $60,000 per year. Grove City College was founded in 1876 and from the outset has set affordability for students as a priority. It offers a classical liberal arts education taught from a Judeo-Christian viewpoint. Over 50 programs of study are offered at the campus, which is located an hour north of Pittsburgh. All students who enroll in this Christian school are free to practice their faith in the way that works for them. The cost of tuition includes a notebook computer that the student gets to keep. The College is ranked 11th by U.S. News & World Report as the Most Wired College Campus. Choosing the right school for your post-secondary studies is an important decision. You’ll want to find one that can offer a quality education as well as an institution that will provide good value. 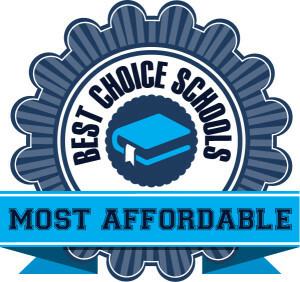 For those reasons, you will want to consider the schools which made it to this list of affordable colleges with the high four-year graduation rates when making your choice.